When it comes to learning how to cook, whether you’re a child or an adult, mastering knife skills is truly the key to unlocking the produce section and being able to cook healthy foods. 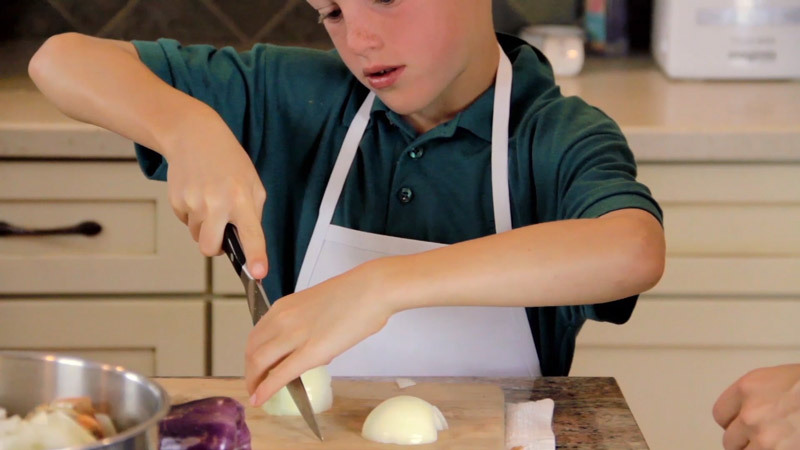 I’m so excited to share our knife skills class for kids with you absolutely free! 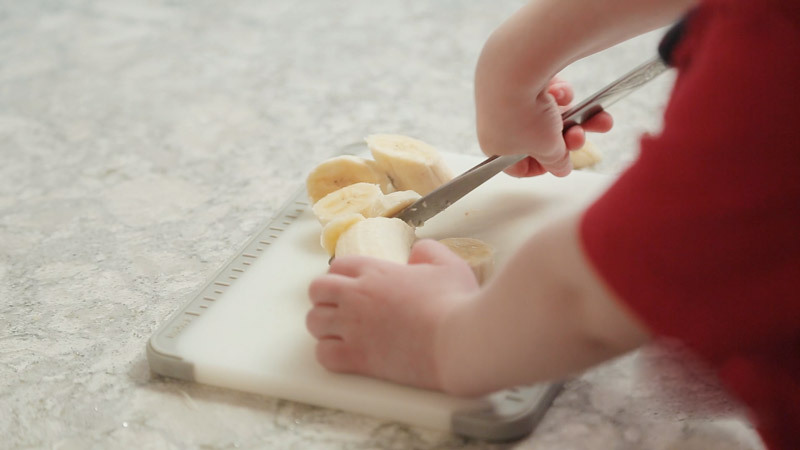 It’s about 10 minutes long and covers 3 basic ways to hold food while cutting and 4 ways to move the knife, along with safety strategies that apply to all ages. After all, if you teach your 2-year-old to hold and maneuver a butter knife properly, you’ll be a lot more comfortable when they’re ready for a paring knife! Before you work through that quick lesson with your kids though, let’s talk about what kids can cut with sharp and dull knives. I always say that the food you choose for knife skills practice has as much of an impact on your child’s success as what they do with the knife. It really can make or break the experience! I recommend starting all children out with a dull knife for initial practice, no matter their age. You can begin as young as age 18 months or so, depending on the child’s maturity and motor skills. I recommend using a small paring knife for early elementary aged children once they have shown proficiency in being safe with dull knife techniques. Paring knives are great for little hands, but it’s really important to avoid giving a child food that does not fit the knife. A large apple or a potato are just inviting disaster and not safe, and food that is very solid like a carrot is often an unsafe proposition as well. Be sure to use the Up-and-Over-Soldier hold on small foods. Cukes and zukes are just tender enough to be easy for a paring knife to handle but a little much for butter knives. Remind your child to use a saw blade motion on those. Once your elementary-aged child is proficient and safe with a paring knife and you both feel s/he is mature enough to move on, the chef’s knife is where it’s at. Try to find a shorter blade, 5-6 inches long, to fit smaller hands. We have a list of our favorite knives for kids here. Really, a chef’s knife can cut just about any produce, but there is a logical order to help a child gain proficiency. Start with long vegetables that can be cut into sticks or wheels, and move on to the roly poly round items that create a challenge to hold onto and have more complicated cutting strategies. Don’t worry about perfect cuts (but demand safety of course) – this is a skill your young cooks will be practicing the rest of their lives. What to Serve with all These Cut Veggies? 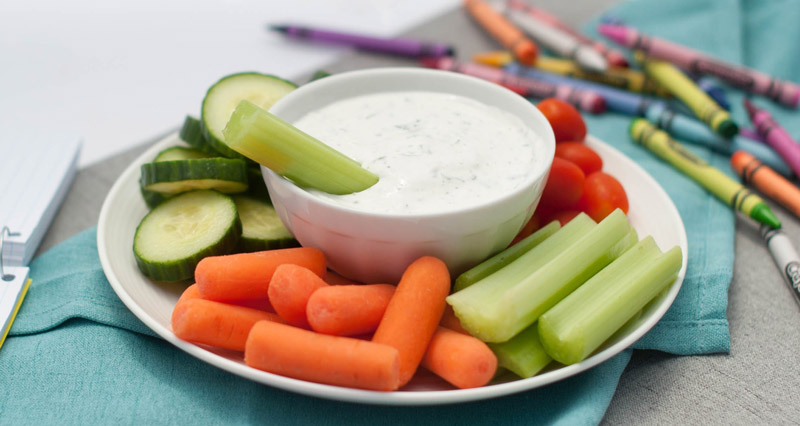 Need a dairy-free dip? No problem. Homemade guacamole makes veggies happy too and is easy to make. Don’t forget about our freebie! Get that full 10-minute knife skills class for kids, pulled right out of the Kids Cook Real Food eCourse, a fan favorite! 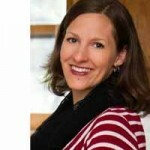 Katie Kimball is a Michigan mom of 4 who often marvels at the number of vegetables in her shopping cart. Even though she teaches about picky eating and helps kids eat better through cooking classes, she still does have children who won’t eat green things. But she trusts they’ll grow out of it and serves #allthegreenthings anyway.